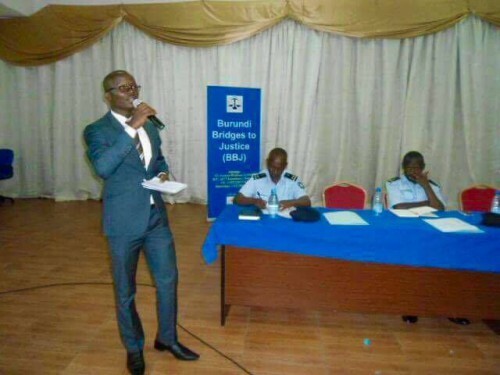 On March 22, the Burundi Bridges to Justice Team organized a justice roundtable bringing together 34 justice sector actors to identify problems and solutions to pressing justice issues in Burundi. This high-level meeting was held on the theme “Status of implementation of the legal safeguards of the accused.” The roundtable was a crucial step towards improving cooperation between government officials, judges, prosecutors, lawyers and police on implementing due process rights. 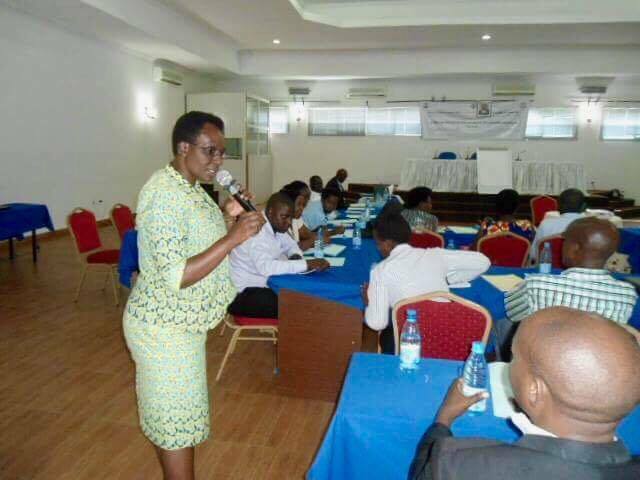 Organizing the event jointly with the Ministry of Justice’s Center for Professional Training of Justice (CFPJ – Centre de Formation Professionnelle de la Justice), IBJ developed the theme within the framework of the 2016-2020 Sectorial Policy of the Ministry of Justice. The goal of this policy is, among other things, to guarantee an effective and accessible criminal justice system. 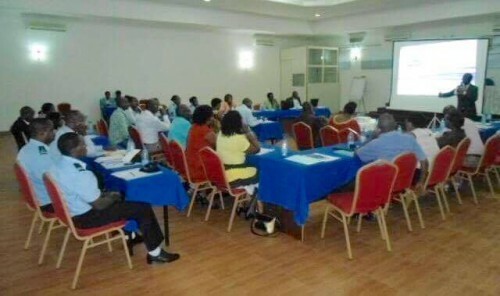 Of the 34 lawyers, government officials, judges and police officers who contributed to the roundtable, attendees included the Director and the Deputy-Director of the Professional Center for Justice, the officers of the Public Prosecutor’s Office, the Commissary General of the Judicial Police as well as Police Officers, lawyers, the judges, a representative of The National Independent Human Rights Commission (CNIDH) and the Representative of the Prison Administration. Setting up a framework for consultation and dialogue between justice actors to improve self-examination, accountability and transparency. The representatives from the Ministry of Justice committed to set up these frameworks without delay. Ensuring respect and proper implementation of the principle “Freedom is the rule, detention is the exception” which is codified in Article 52 of the Criminal Procedure Code. Guaranteeing that the timeline for legal procedures, particularly time limits of detention and appearance in court are respected without undue delay. Ordering investigation of allegations of torture anytime a judge encounters a defendant who has been tortured and nullifying confessions obtained under duress. Lawyer Aline Njimbere shares her insights on overcoming barriers to rights violations and ensuring all accused persons have early access to legal counsel. Ultimately, the roundtable was a valuable occasion to put forward important commitments on access to justice as a fundamental right for everyone. Discussions such as these, held regularly in a collegial environment are a way to institutionalize good collaboration and build a movement towards practical action between government officials, judges and lawyers. With each individual group in the justice chain identifying challenges that prevent effective implementation of due process rights of the accused, the resulting commitments will ensure positive change occurs to better protect the rights of ordinary people. IBJ will continue to work with civil society and government institutions to transform those commitments into practical action.